Taxes paid by these workers at family-owned Koegel Meats, Inc., of Flint help to subsidize New York-based Boar's Head Provision, a competing firm that receives state grants and other economic incentives. Last November, when Governor Engler vetoed a bill to exempt certain politically favored groups from a particular tax, he wisely declared, "Tax policy is best which is simple and uniform, and which treats similarly situated activities in the same manner." He was precisely right. It is poor economics and fundamentally unfair for government to pick winners and losers by providing special breaks, favors, or subsidies to certain firms and not their competitors. The only problem is, others within state government are doing exactly that. Al Koegel is not one to make a big fuss about unfair competition, but he point outs that Koegel Meats has always paid its taxes and never took a dime of taxpayer money. So why is the state taking money from taxpayers, including the Koegels, to give to a Koegel competitor? Consider the case of Boar's Head Provision Companya meat products company headquartered in Brooklyn, New York. 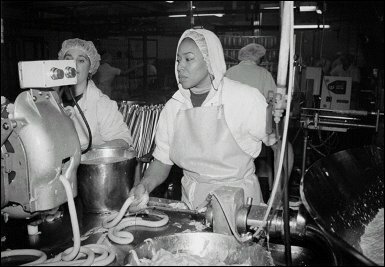 In exchange for the company's promise to invest $14 million and create 450 new jobs in Michigan over the next three years, the Michigan Jobs Commission arranged in 1998 to give Boar's Head an "economic development package" worth up to $5.1 million in federal, state, and local resources. It includes up to $3 million for equipment leasing, an abatement of the 6-mill state education tax of up to $212,590, and as much as $1,000 per worker for training. Armed with these "incentives," the company opened a processing plant near Holland, Michigan, on December 13, 1999. The successor agency to the old Michigan Jobs Commission is now known as the Michigan Economic Development Corporation (MEDC). Its highly paid bureaucrats will count 450 "new" jobs as the agency's contribution to the Michigan economy through the Boar's Head deal. What its press releases will not reveal is the impact of the deal on other Michigan businesses, such as Koegel Meats, Inc., in Flint. Like Boar's Head, Koegel makes meat products. A Michigan-based family business for three generations, it produces an extensive line of cold cuts and the popular "Koegel's Vienna Frankfurters" that get grilled by the millions in Michigan back yards every summer. Its meat products still use recipes devised by Albert Koegel when he emigrated from Germany to Michigan and started the company in 1916. The firm sells 99 percent of its product in Michigan and employs 110 people at its Flint facility. Al Koegel, son of the founder, is not one to make a big fuss about unfair competition. Like his dad before him and his son John who will carry on after him, Al would rather run the business than spend time lobbying politicians. He cannot help but point out when asked, however, that for all of its 84 years, Koegel Meats always paid its taxes and never took a dime of taxpayer money: no abatements, no subsidies. The company always trained its own employees with its own funds. In fact, when the company was once offered federal money for job training, Al turned it down because he did not want the hassle of red tape and paperwork. So we have here the classic American Dream story: A German immigrant comes to America seeking opportunity, settles in Michigan, starts a company, works hard, and succeeds. His family keeps the business here through thick and thin in one of the most high-tax, economically distressed areas of the state. They focus on customers, not government, and grow the businesstaking no public money and paying full freight in taxes year in and year out. Now along come the wizards at the MEDC who, in the name of "economic development," take money from taxpayers including the Koegel family business and give it to a New York competitor. There is something seriously wrong with this picture. Lansing bureaucrats, most of whom probably do not know how to run a business, will take credit for their vision and thoughtfulness when they should be scolded for corrupting Michigan's economy. A state agency will claim it "created" 450 jobs without perhaps even a single reporter asking tough questions like, "How many jobs may be lost or may never come into being at other Michigan meat product companies like Koegel in Flint or Kowalski in Hamtramck?" or, "Where will Boar's Head's workers come from in the tightest labor market in 30 years, and who will pay the bill for their previous employers to go out and find replacement workers?" The Boar's Head handout may be "economic development" in Lansing, but in the real world, it is just another example of robbing Peter to pay Paul.